Future Q Technologies is a brand and providing quality online trainings to students in world wide. We are giving best online training on Testing Tools Online Training. 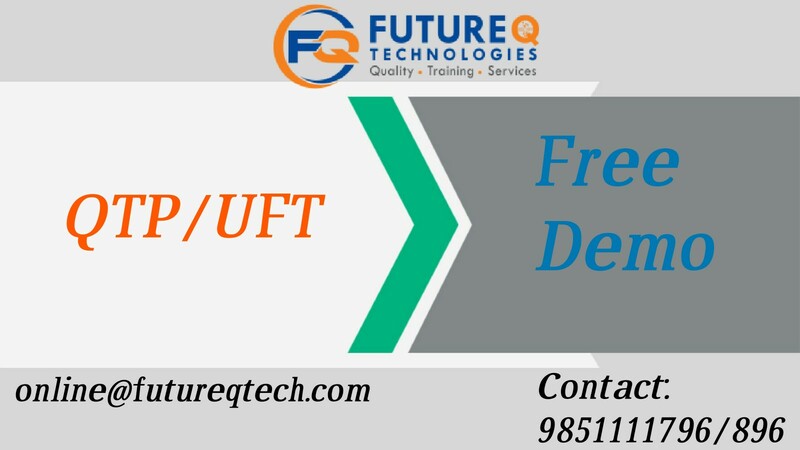 Future Q Technologies Training Center, Which is a high profiled Online Testing Tools training institute in India offers Testing Tools training program. 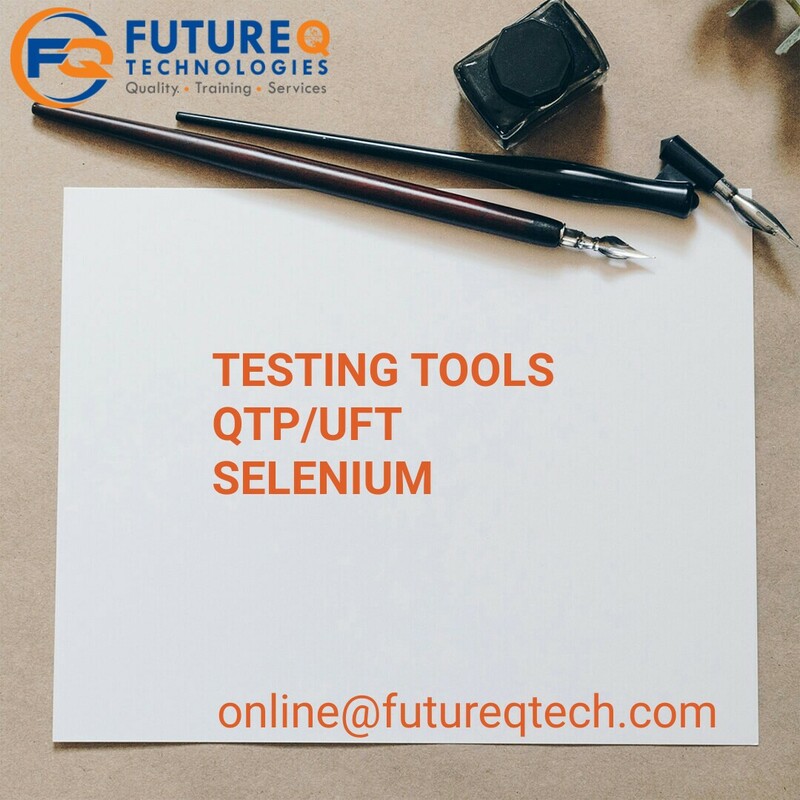 You Can Attend This Online Testing Tools ( QA ) Training Classes From Any Where In The World .In This Testing Tools (QA ) Online Training Program We Cover Manual Testing , QTP , QC And Load Runner, Selenium, Database Testing, SAP Testing, Mobile Testing. Through online software training programs we are glad to be of service to students. Our comprehensive and intensive hands on testing tools training program covers everything from fundamentals to sufficiently advanced concept to make a person confidant enough to enter the world of Quality testing. Future Q Technologies QA online Training with job placement assistance with live projects, real time scenarios, and Mock interviews conducted every week by software testing training professionals. 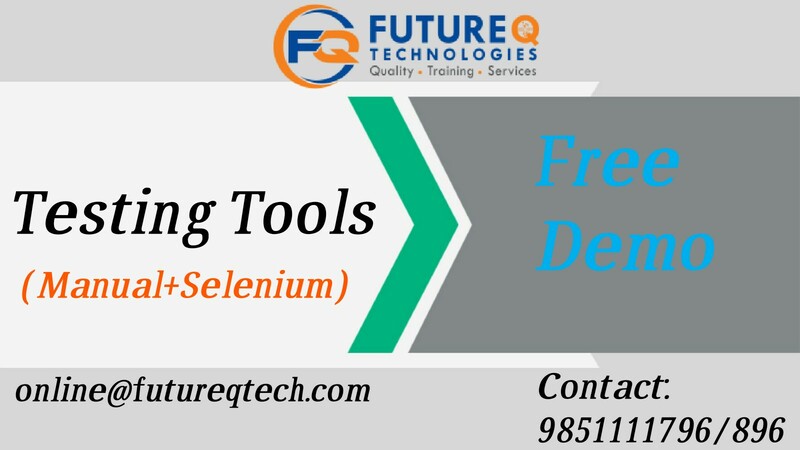 Register for FREE DEMO and to know more about QA Testing Training Course details. Customized course contents in accordance with your requirements. Tests and FAQ s from interview point of view. Software installation facility on your desktop for practice. Manual Testing course will cover software testing concepts, SDLC, STLC, Agile Testing, Effective Testing methods, QA Process , TestCase writing, TestCase Execution, Defect Reporting , Defect Management and Test Management tools like ALM/Quality Center. Understand fundamental concepts in software testing, including software testing objectives, processes, test strategies and testing techniques. Learn to plan a testing projects, design test cases and data, conduct testing operations, manage defects and generate test report. Learn Defect Reporting process and Defect management process. Learn implementing Testing Process using tools like ALM(Quality Center) and JIRA.